Naira and Keerti’s godhbarai ceremony is organized and all are happy as good news and happiness has knocked their door. Naira and Keerti prepares pooja thal for themselves and has to choose a water filled coconut. While amid hurry and confusion Naira puts a wrong coconut which is empty, this abshagun will unveil in godhbarai ceremony. Naira will be shocked as this abshagun will unveil and Dadi will also create much drama. 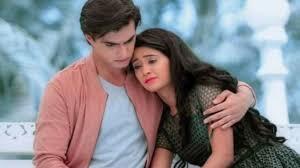 This abshagun is the signal of upcoming mishap and will Kartik and Naira lose their parenthood with this abshagun twist.